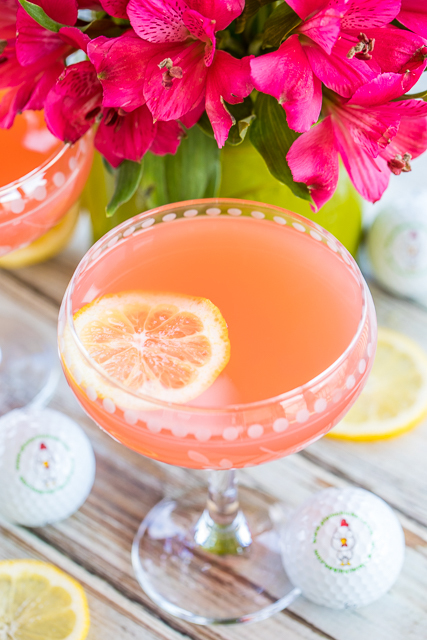 Azalea Cocktail - the signature cocktail of the Masters golf tournament! SO light and refreshing! Perfect for watching the golf tournament and spring/summer parties. Lemon juice, pineapple juice, vodka and grenadine. Can make a pitcher or a single cocktail. This is our signature cocktail recipe! SO good!!! 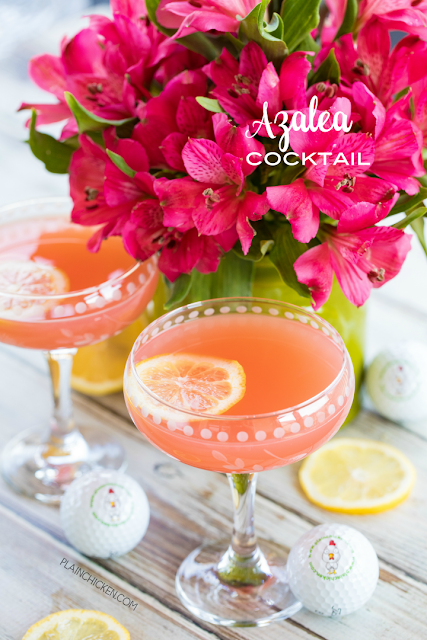 Azalea's are the signature flower of The Masters, and the Azalea cocktail is the signature cocktail for the tournament. It is named after the famed 13th hole at Augusta National Golf Club. Augusta National has over 30 varieties of azaleas that are in bloom for the tournament every year. This cocktail is so light and refreshing. It is perfect for sipping on while watching the golf tournament or any upcoming spring/summer parties. What is in an Azalea Cocktail? An Azalea Cocktail is made up of lemon juice, pineapple juice, vodka and grenadine. SO good!!! I like to make a big pitcher of this Azalea cocktail and have it in the fridge for parties. You can also make a single cocktail if that is all you need. Either way, this is a fantastic cocktail! I will be making these all though the summer. It is my current "signature cocktail". Give it a try! I promise you'll love it! Cheers! Mix all ingredients together and serve. Garnish with lemon slices, if desired. Can use gin in place of vodka. Can make in advance and refrigerate until ready to serve.